JP Morgan employee Gabriel Magee jumped to his death in January, a year after a relationship break up triggered a period of distress that may have affected his work, a court heard Tuesday. A coroner in London found that Magee, 39, committed suicide by throwing himself off the top of the bank's offices in the financial district of Canary Wharf. The suicide was one of a string of high-profile banker deaths around the world in recent months. "I'm sure that no other person pushed him and Gabriel jumped ... This was a considered act," said senior coroner Mary Hassell at the inquest into his death. She did not comment on why he took his own life. Magee was a vice-president in the IT division at JP Morgan. His death in late January shook the industry, heightening concerns that the pressurized culture in investment banking was causing stress, anxiety and depression among staff, in some cases leading to suicide. However, testimony from the inquest painted a more complex picture. "There seems to be an impression that investment banks grind employees into the ground," said Mark Gibbons, a colleague of Magee's. "But we didn't have the pressures normally associated with those teams." People who knew Magee said he was a bright man who was deeply upset about breaking up with his girlfriend in early 2013. Encouraged by friends to seek help, he spoke to a therapist in the months leading up to his death. Magee's manager Andrew Harding said the bank had allowed him to work flexible hours in mid-2013 after he revealed he was struggling with his personal life in meetings called to discuss the quality of his work. A JP Morgan review of security cameras and swipe card data found that Magee had tried to access the office roof many times in the months before his death. The investigation also found notes on his computer that hinted that he was considering suicide. 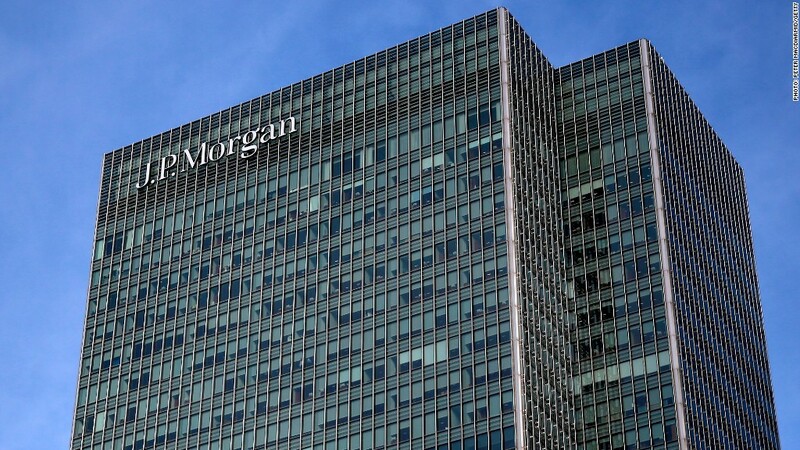 Just weeks after Magee died in London, another JP Morgan employee jumped to his death in Hong Kong. Many big banks in London are now working to address issues of depression and stress in the workforce. A number of companies and charities have joined forces to create the City Mental Health Alliance, providing a forum for top executives in banking and professional services to talk about mental health problems. Members include Bank of America (BAC), Goldman Sachs (GS), Morgan Stanley (MS), UBS (UBS), KPMG and Deloitte, among others.